Harkening back to their colorful acoustics of the 1960s, Fender's Newporter Player acoustic-electric guitar delivers rich, balanced tone, easy playability, and eye-popping visuals that include a painted gloss finish, a matching 6-in-line headstock, a gold pickguard, and crème binding. The Newporter Player features mahogany back and sides and a solid Sitka spruce top. Under the hood of this midsized American classic is Fender's proprietary top bracing for minimal mass and maximum resonance. It sports a Graph Tech NuBone nut and saddle for optimized sustain and a Fishman preamp system that faithfully delivers the guitar’s natural sound. 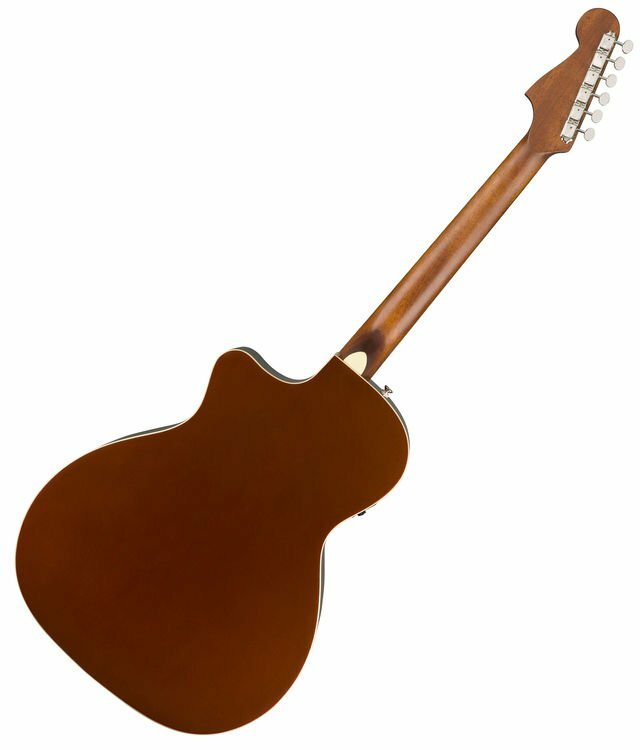 Wrap your hand around the fast slim-taper C-profile mahogany neck; let your fingers dance on the laurel walnut fretboard. Effortless — a hallmark of Fender acoustics since the '60s. 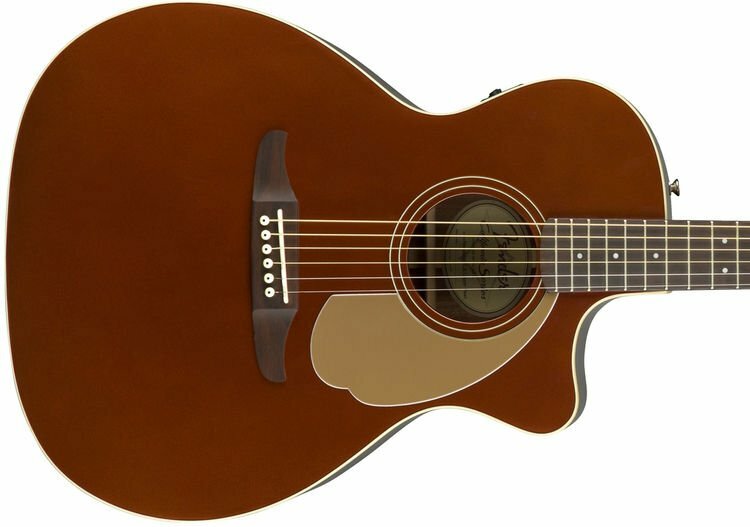 This laid-back California Series Fender acoustic-electric guitar is effortless to play, so go on and surf the fingerboard. Whether you're strumming or fingerpicking, you'll be delighted by the Newporter Player's sonorous voice and superb articulation. 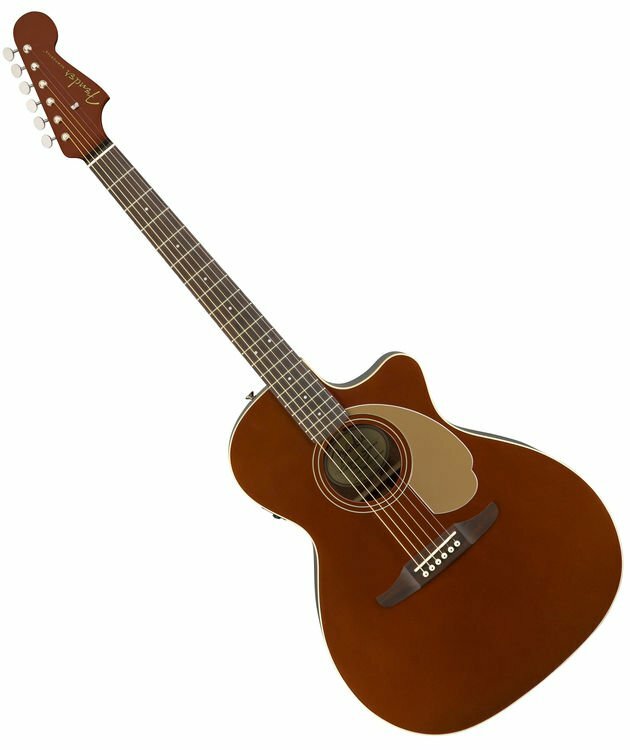 Its comfortable, medium-sized body has a solid Sitka spruce top for full acoustic character you're going to love. But the Newporter Player also has style. Get a load of that eye-catching finish and Fender Strat headstock — the Newporter Player exudes attitude. 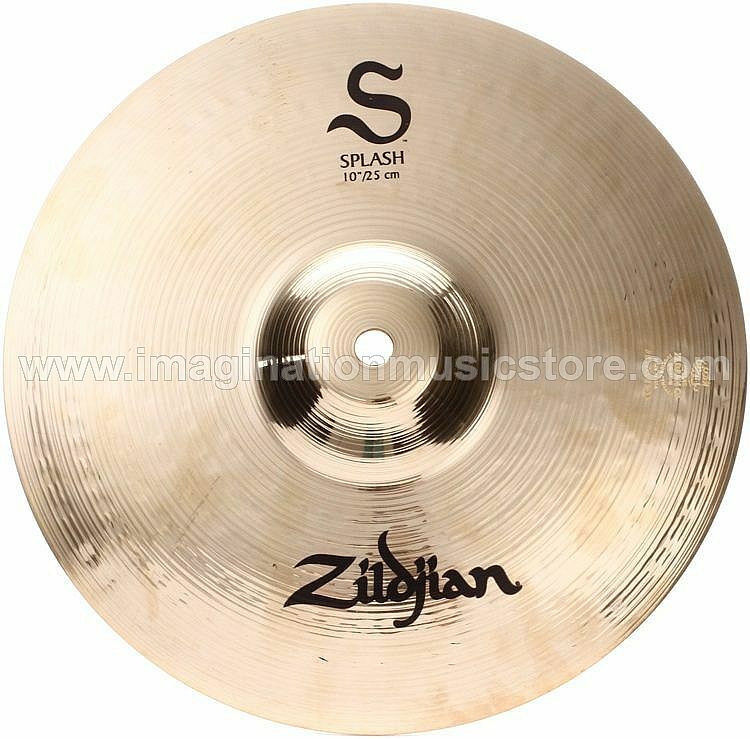 Take the stage with this beauty, and your fans will go wild! Another sweet thing about the Newporter Player is that you get killer acoustic tone without spending a fortune. This is definitely a fine "first guitar" — and also a great choice for any seasoned acoustic player. In the name of tone, the Newporter Player has a solid spruce top. 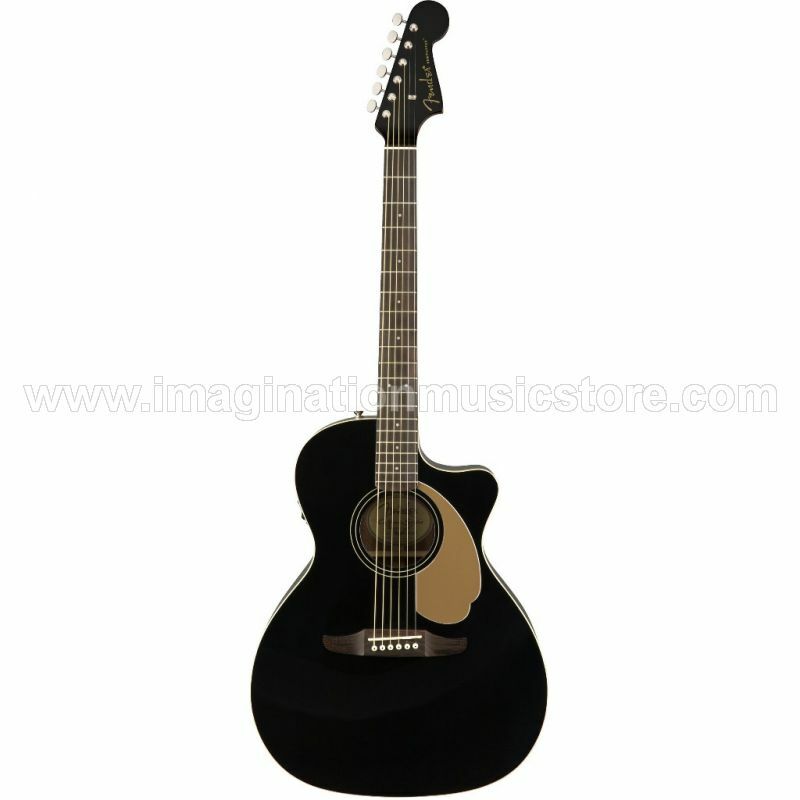 It's a very popular acoustic guitar tonewood because it gives you a clear and powerful voice. This is the kind of guitar you'll want to bring into the coffee shop and hit the next open mic. Of course, the playability is pure Fender all the way. It has a cutaway body style, so it's easy to play up and down the neck. And speaking of the neck, it has a vintage "C"-shaped carve, so the Newporter Player will perfectly fit your hand. Hit the stage with your Newporter Player. It has a Fishman preamp system onboard, so you can plug right in and get to playing, with full control over your volume and tone. Fishman is a leader in acoustic amplification, and their electronics have been favorites of Sweetwater guitarists for years. Plugged in onstage or in the studio, the Newporter Player delivers the guitar's expressive natural voice through an amp, PA system, or into the console.